Brainlab digital orthopedic technologies offer a complete portfolio for orthopedic surgeons:During the preoperative planning phase surgeons can use TraumaCad®, advanced digital templating software, for enhanced prosthesis planning. Intraoperatively, Brainlab navigation systems assist with implant placement and stability assessment of the joints. Surgery reports will be generated and can be used together with TraumaCad for postoperative evaluation. 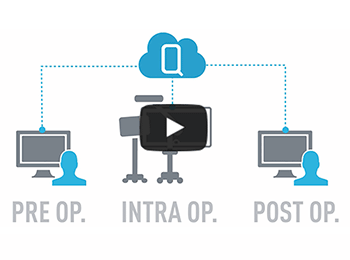 All while, allowing the information to be stored in Quentry®, a cloud-based network, providing a secure environment for collaboration, consultation and patient referrals with colleagues and partners.Patients are able to actively learn, explore, and equip themselves with information regarding their condition and procedure at brainlab.org, an educational site dedicated to familiarizing patients with diseases, clinical challenges and treatment technologies.For more information contact your local representative or visit us at brainlab.com.